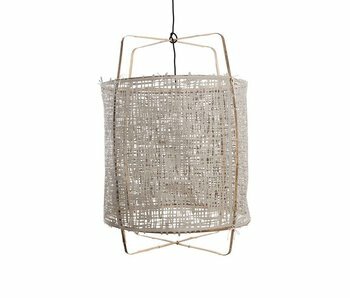 AY Illuminate shop safely and reliably - LIVING AND CO.
Shop the latest lamp collection from Ay Illuminate easy and secure online at LIVING AND COMPANY! What an eye-catcher! 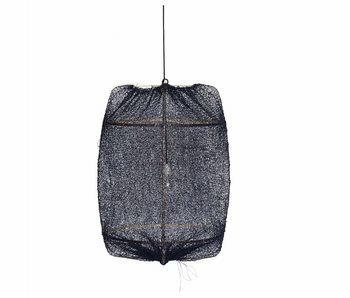 The Ay Illuminate Z2 hanging lamp with black paper cloth is great in your interior. Equipped with blond bamboo frame. The lamps of Ay Illuminate are handmade and each one is unique! What an eye-catcher! 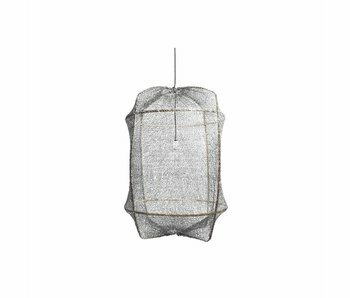 The Ay Illuminate Z2 hanging lamp with gray paper cloth is great in your interior. Equipped with blond bamboo frame. The lamps of Ay Illuminate are handmade and each one is unique! What an eye-catcher! 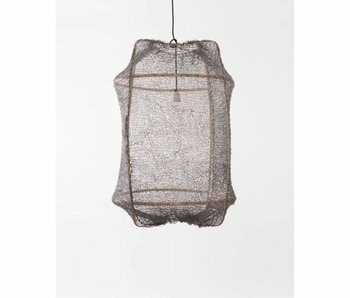 The Ay Illuminate Z2 hanging lamp with natural paper cloth is great in your interior. Equipped with blond bamboo frame. The lamps of Ay Illuminate are handmade and each one is unique! What an eye-catcher! 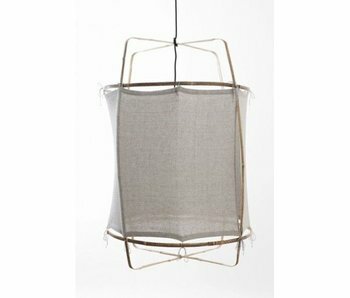 The Ay Illuminate Z2 hanging lamp with gray cloth is great in your interior. Equipped with blond bamboo frame. The lamps of Ay Illuminate are handmade and each one is unique! What an eye-catcher! 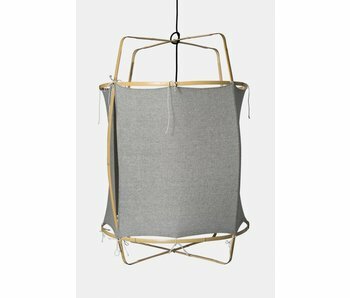 The Ay Illuminate Z2 hanging lamp with black silk and cashmere cloth is great in your interior. Equipped with blond bamboo frame. The lamps of Ay Illuminate are handmade and each one is unique! What an eye-catcher! 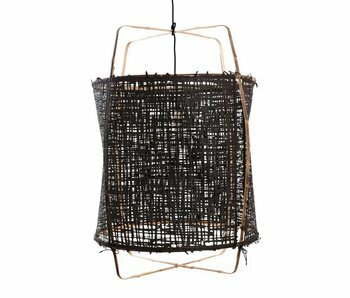 The Ay Illuminate Z2 hanging lamp with black sisal tea dyed cloth is great in your interior. Equipped with blond bamboo frame. The lamps of Ay Illuminate are handmade and each one is unique! What an eye-catcher! 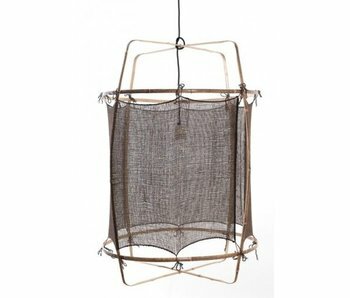 The Ay Illuminate Z2 hanging lamp with gray sisal tea dyed cloth is great in your interior. Equipped with blond bamboo frame. The lamps of Ay Illuminate are handmade and each one is unique! What an eye-catcher! 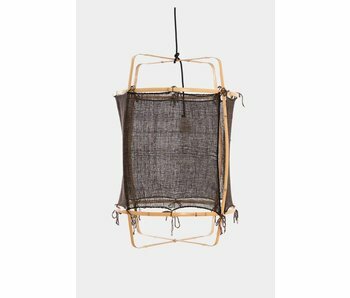 The Ay Illuminate Z2 hanging lamp with sisal tea dyed cloth is great in your interior. Equipped with blond bamboo frame. The lamps of Ay Illuminate are handmade and each one is unique! What an eye-catcher! 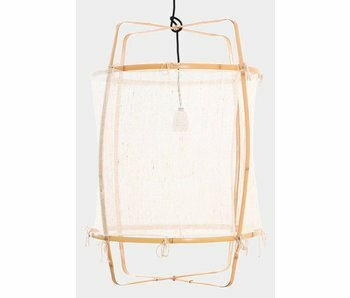 The Ay Illuminate Z2 hanging lamp with white silk and cashmere cloth is great in your interior. Equipped with blond bamboo frame. The lamps of Ay Illuminate are handmade and each one is unique! What an eye-catcher! 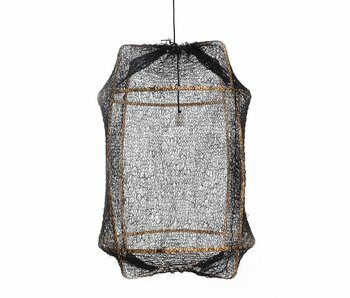 The Ay Illuminate Z5 hanging lamp with black sisal net cloth is great in your interior. Equipped with black bamboo frame. The lamps of Ay Illuminate are handmade and each one is unique! What an eye-catcher! 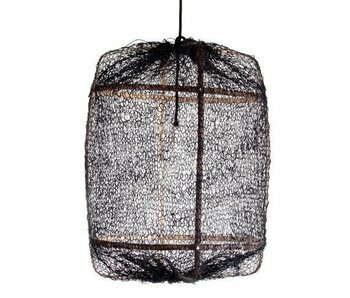 The Ay Illuminate Z5 hanging lamp with gray sisal net cloth is great in your interior. Equipped with black bamboo frame. The lamps of Ay Illuminate are handmade and each one is unique! Buy Ay Illuminate online at Living and Company! 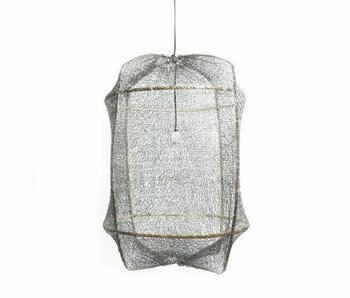 Ay Illuminate is originally a Dutch lamp brand that is inspired by nature as different cultures in the world. 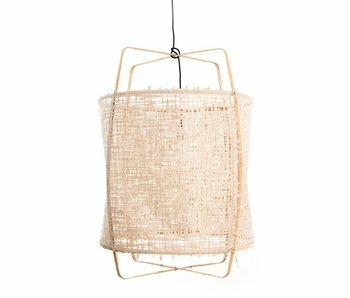 Each lamp is handmade and has its own story. 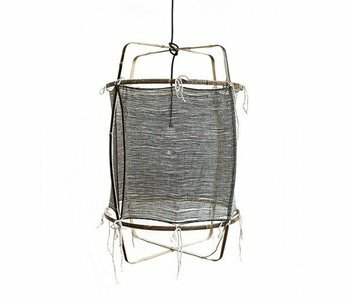 The designs and materials used exude craftsmanship and are mainly found in Africa, South America and Asia. With an AY Illuminate lamp you get a real eye-catcher at home! Ay Illuminate brings atmosphere into your home! 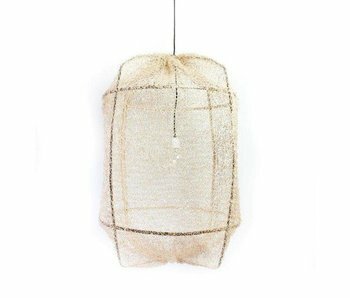 For Ay Illuminate it is important that natural, sustainable and handmade materials are central to the design. This way each article has a beautiful look that radiates the creativity of traditional craftsmanship. 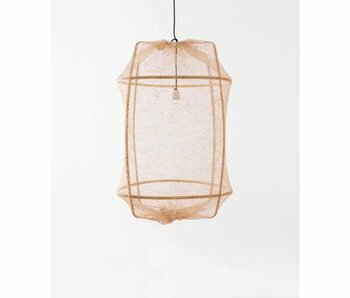 The lamps of Ay illuminate have the nature to draw attention naturally. 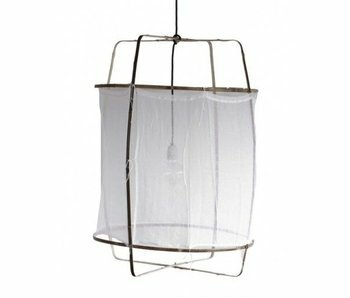 This is partly due to the large size of the hanging lamps which are available up to one meter high. 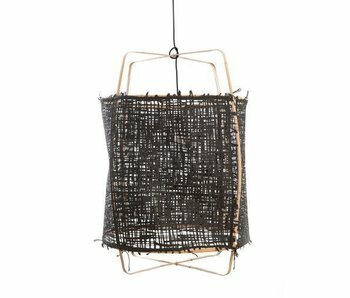 Not such a fan of the handmade Ay Illuminate lamps? In our lamp overview you will find a lamp that fits your taste completely. 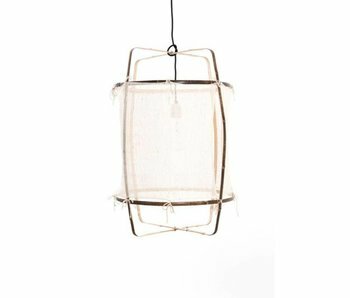 For years the Z1 hanging lamp has been one of the most popular lamps in the collection. 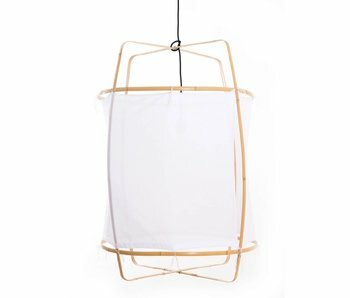 For example, the Ay Illuminate Z1 bamboo hanging lamp has a bamboo frame with white cotton cloth. 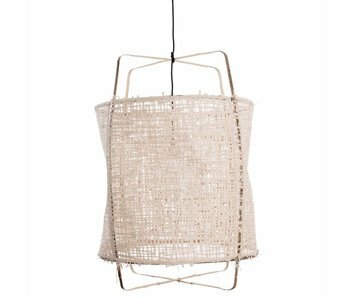 Both the cotton and sisal versions of this Ay illuminate lamp are hand woven by local craftsmen. This gives you a piece of culture at home! 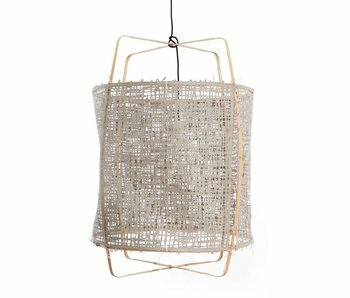 Because a lot of use is made of colors, choice of materials and dimensions, it is easy to find a lamp that fits your wishes perfectly. Living and Company is officially Ay Illuminate dealer. This way you can be sure that we order the original furniture directly from the supplier and offer a good service. We have done our utmost to select the best Ay Illuminate collection for you. If a specific product is missing, you can always contact customer service to inquire whether we can order the product. With us you have 30 days to change your mind, you pay safely (afterwards) and we deliver your order for free from EUR 100, -.